Let me tell you that I’m a huge fan of spiders and I was really excited to see such an impressive model of a tarantula (a moving one at that!) being on sale in a miniature booth in our local shopping center. Don’t you find spiders adorable too? 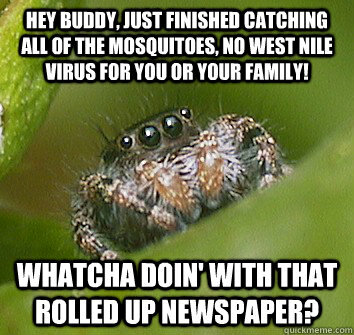 Ah, what can I say, jumping spiders are the cutest. As you can see from the cover art the box is very well designed and has valuable information on the nature of this excellent figure. It also gives you lots ideas about how to design the pose of the creature – an important note especially if you’re thinking of entering Golden Daemon or Crystal Brush with this miniature. Let’s take a look at the sprues. The detail on the pieces is astounding and the numbered pieces really help in putting the kit together. For the most important pieces they chose a different color and it works with the Black Widow theme if you like! Clearly you can see that the pieces are made of quality plastic that will feel real when you handle them. The pieces are push-fit, which is a great way to get into this hobby and get used to putting together large models from other manufacturers! The booklet also allows valuable information on how to assemble the miniature – be sure to read the instructions! Excellent tutorial on how to assemble the Arachnoid. I started with assembling the main body and assembling the moving pieces of the kit – as the name suggests the Salt Water Arachnoid moves when saltwater is applied to the thorax of the creature! The sculpt is amazing and there’s no visible mould lines (shame on you GW!) but I scraped the sides just in case to both create texture and depth. After all, this is surely going to be on display and taking part in competitions! Can’t wait to assemble the legs! Complex machine parts to move the legs of the spider. First pedipalps and mouthpiece inserted. 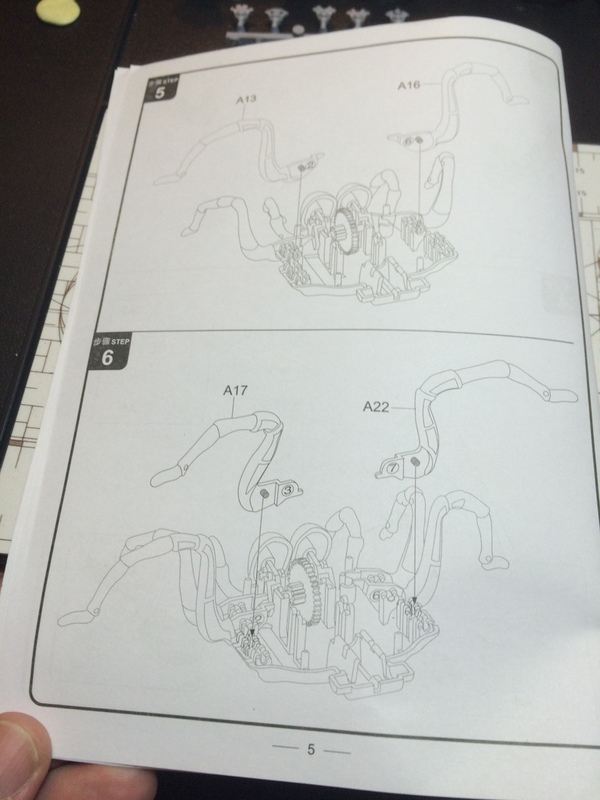 With legs assembled you have a proper spider! Don’t forget to attach the cables for Saltwater fun! After some fiddling with the colored parts I finally managed to assemble the spider completely and boy, was this a project of love! I spent around 5 hours straight to just put together the entire model – imagine how long it took me to paint the mini! I think they modelled the mini after the jumping spiders. Can’t wait to put this in a display base! So all in all a solid contender for an entry on Cool Mini Or Not for all those interested in spiders. 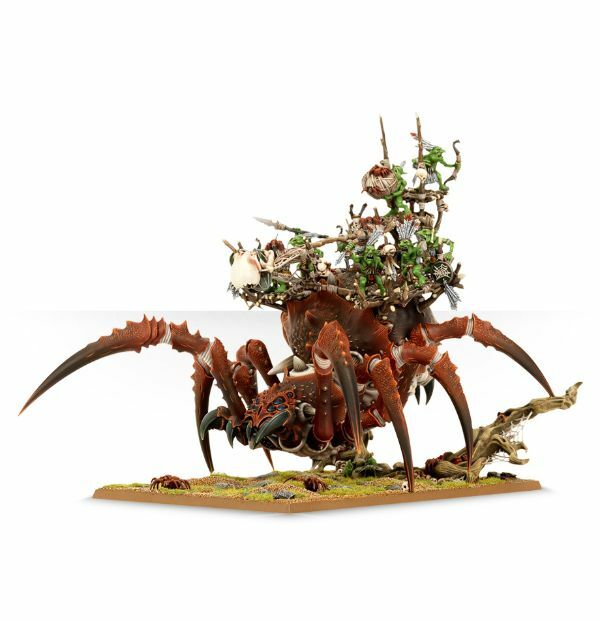 Plus you can use this in your WHFB games as a proxy for the far inferior Arachnarok Spider! Such a cluttered model… nothing compared to the awesomeness that is S.W.A.G.! I hope you liked this review and make sure to stay tuned to this space… you never know what may be lurking within! Oh, and happy April Fool’s. ← WIP Update: Week 4 of March 2015 and Happy Birthday to RW! Spiders are from the devil but that is one amazing model. Definitely needs to get made into some kinda live-action Shelob diorama! Right? I mean what were Scale75, Minitaire and Games Workshop thinking?